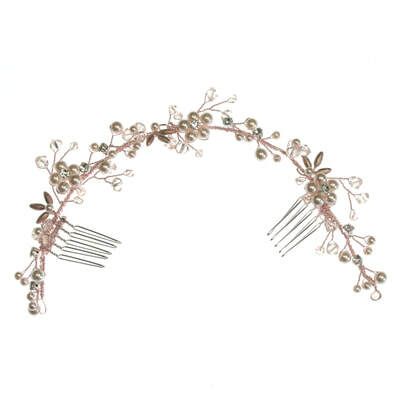 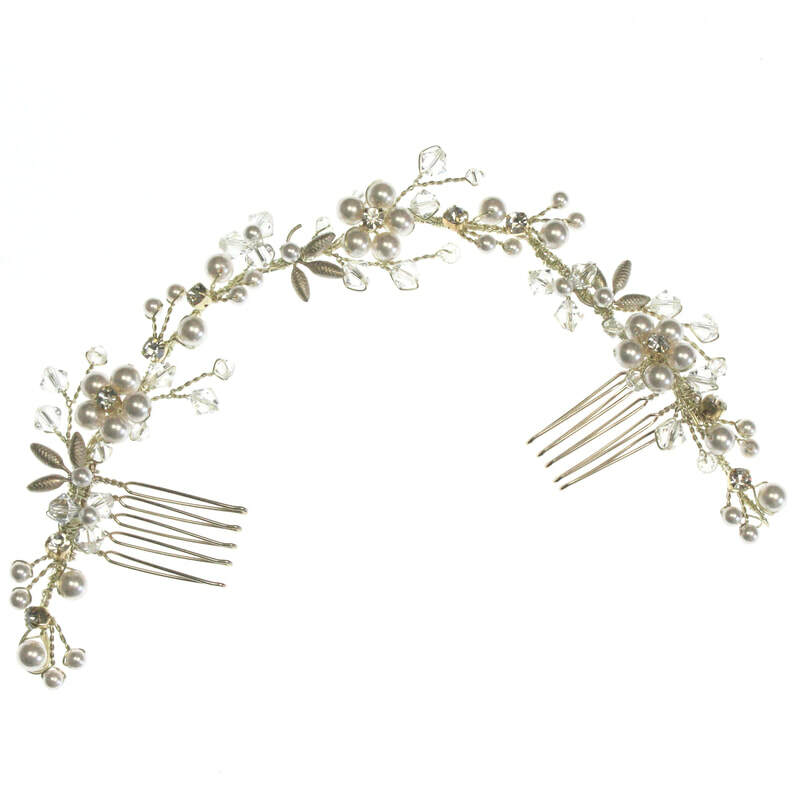 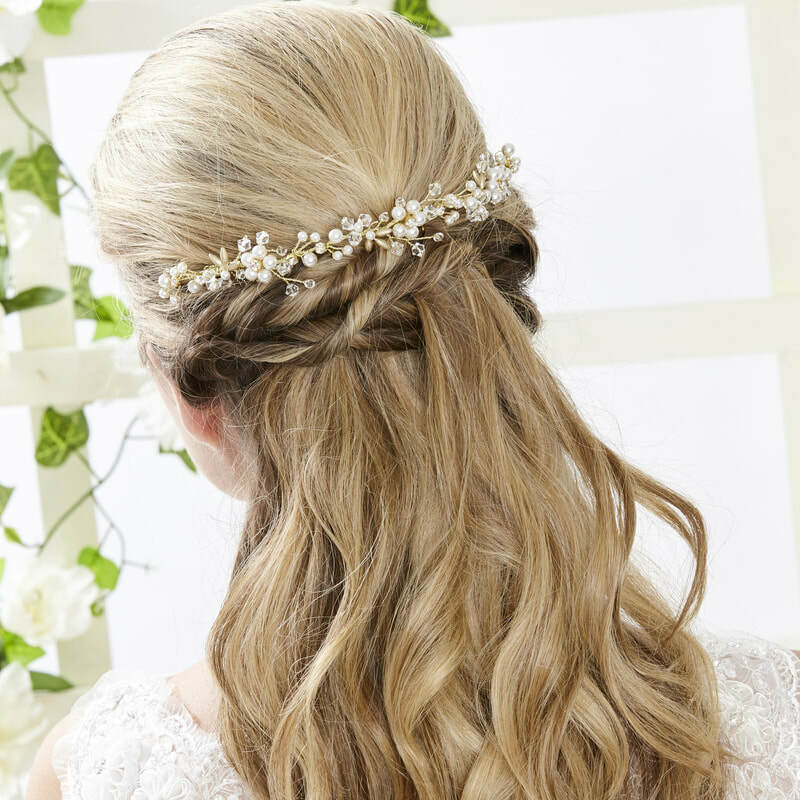 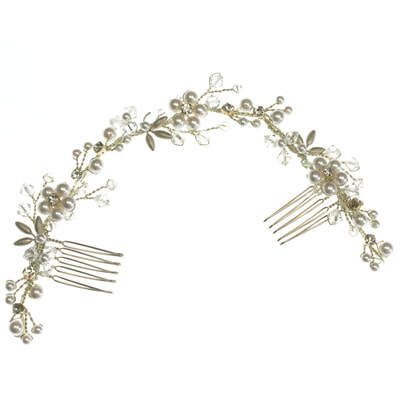 Beautiful handmade hair vine in a rambling design of brambles in flower. 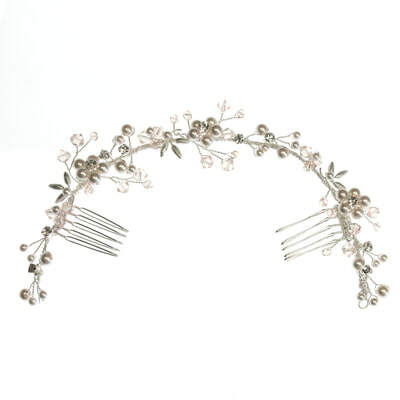 This piece looks great worn around a bun or at the top of a veil. 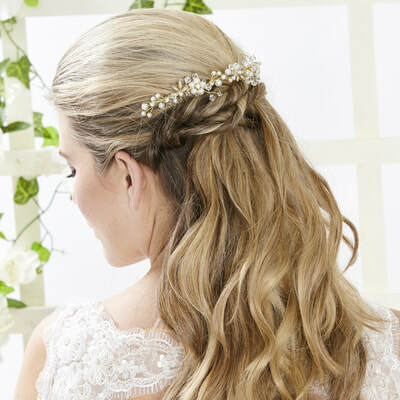 Model wears AR553 in Gold with Cream Pearls & Clear Crystals.